What is the philosophy behind TDL? Trust is an essential prerequisite for connecting people in effective human and enterprise transactions. It builds in our society on the rule of law and stable democratic institutions, as well as elements like security, privacy, transparency, accountability and reputation. However, with ICT increasingly pervading all human activity, we also see worrying developments with respect to crime and the erosion of privacy. 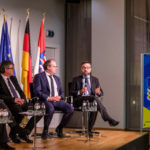 It is essential to safeguard the European social “acquis” in a future world where many human and business activities are provisioned by complex technology infrastructures and digital services. European strategy must aim at a strong competitive position in producing innovative solutions which bring new attractive ways of living and working. However, in order for these solutions to be accepted by citizens, business, and governments, they must be perceived to be trustworthy and strengthen Europe’s social values; and they must ensure an experience of sense and simplicity. In sum, we must build Trust in Digital Life. Members work to define a vision for trustworthy ICT-related products, including devices, applications, services, and infrastructures. Central to this vision is a recognition of the importance of the rule of law, security, and privacy and other core democratic freedoms in contributing to trustworthiness. TDL translates this vision into an agenda for research and innovation, placing particular emphasis on transparency and accountability. In the process, there is coordination with other initiatives as TDL takes an inventory of emergent digital technologies that can be combined to implement the vision, and thereby engage in a broad dialogue. By presenting scenarios, or use cases, members illustrate how combinations of trustworthy ICT-related products can give effect to specific public policy goals. Success is measured by the degree to which the vision, agenda, coordination, and scenarios enable checks and balances and separation of powers in the European tradition, and honour European values such as privacy, freedom of expression, protection of minorities, freedom of association, and freedom of belief – which work together to allow society to critique and correct itself. mechanisms that reflect democratic structures and values. What are the technologies necessary to build a trustworthy product or service? Several key technologies are strategic and include (but not limited to) secure authentication, data life cycle management (storage, revision management, access control), network security, operating systems, connected appliances, applications software and web services. Solutions may be proposed for issues like activation/deactivation of services, data retention, certificates and identity management, etc. What are the application domains that are priorities today for policy makers? Solutions to encourage EU citizens to fully embrace all eGovernment-related services are a high priority (eID, eHealth, eSignature for electronic documents, etc.). All matters that relate to the safety and protection of EU citizens’ privacy in their daily usage of the Internet for applications such as eCommerce, eBanking and instant messaging, for example, are critical to both the EU economy and the respect of citizen rights. Will the outcome of TDL’s technology roadmap only be made available to members? The results of TDL’s work and activities are made public. The association is open to new members from the industry, research groups or public entities that are active stakeholders in ICT-related matters. Members are first to benefit from the resulting technology roadmap and also contribute to dialogue with policy makers.